Pokemon Duel is a brand new game for iOS and Android... and it's free! Following the stunning success of Niantic’s Pokemon Go, Nintendo has quietly released a brand new game based on the popular franchise. 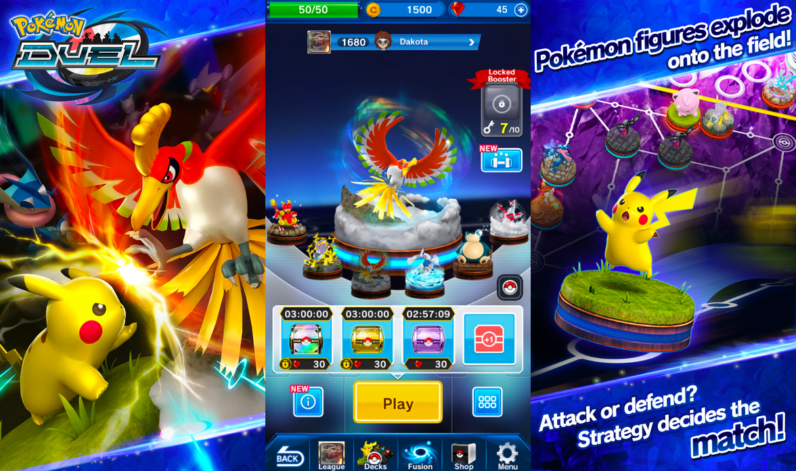 Available for both iOS and Android, Pokémon Duel is a free-to-play strategy board game which squares off you and your friends in a fierce strategy duel. Pokémon Duel is essentially a turn-based game in which you have to make strategic moves with the aim of forwarding your figures to your opponent’s territory. The game was initially released in Japan as Pokémon Comaster back in 2016, but appears to have been rebranded for its English version. It retains the collectible approach of previous Pokémon games and let’s you build up your own deck as you keep stacking new trophies and items. Head to the official announcement here for more details about the game.